Blue Onion is a full service multi-media branding and messaging company that comes up with the ideas, produces the ideas and builds brands. Services include account planning, media planning, media buying, media strategy, strategic marketing, advertising, high definition video production, film production, grip truck, film lighting, creative asset management, multimedia marketing, branding and marketing solutions. Other services provided include results-driven advertising, brand creation and messaging, strategic creative, research, focus groups, website design, GUI design, intranet and extranet design, e-commerce, Flash development, back-office development, database integration and SEO. Allied Internet is a Denver based Internet marketing company that specializes in developing Internet marketing strategy for small businesses determined to be competitive on the Web. Search engine marketing, also known as search engine optimization (SEM or SEO), means making sure that your website has better, more authoritative targeted content than your online competitors. 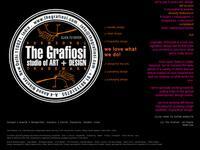 We can help you with your graphic design needs in Denver. They have several talented graphic designers who can help you create a new look to your Web site or your print projects. This is a design firm that prides itself in the personal service they give their clients. Graphic design using the latest software and outstanding creative. This is an award-wining design firm based in Denver Colorado. Graphic Design, Web Design, E-Commerce, Print, Corporate Identity, Denver, Colorado.